Large merger transactions require regulatory approval. 1. What Happens to Stocks When One Public Company Buys Another? 2. Why Do Stock Prices Increase After a Takeover? 3. What Happens When I Don't Tender My Shares? Mergers are combinations involving at least two companies. 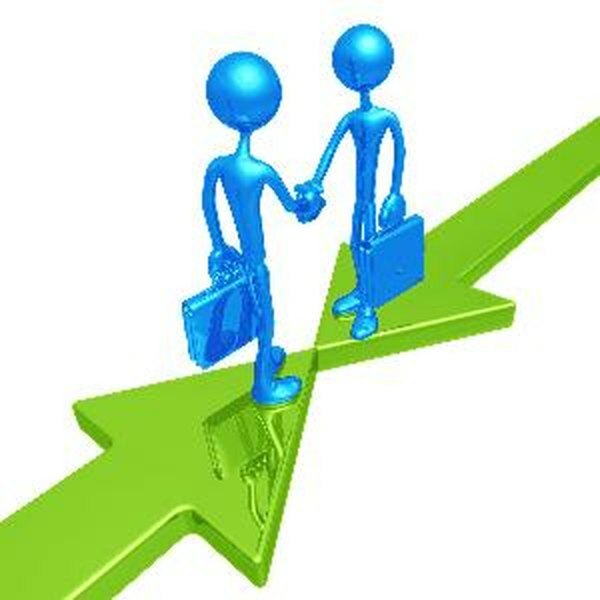 The result of a merger could be the dissolution of one of the legacy companies and the formation of a brand new entity. The boards of the companies involved must approve any merger transaction. State laws may also require shareholder approval for mergers that have a material impact on either company in a merger. Stockholders may receive stock, cash or a combination of cash and stock during a merger. A corporate merger can result in a variety of actions for shareholders. In many cases, shareholders will receive stock, cash, or a combination of the two. Companies in stock-for-stock mergers agree to exchange shares based on a set ratio. For example, if companies X and Y agree to a 1-for-2 stock merger, Y shareholders will receive one X share for every two shares they currently hold. Y shares will cease trading and the number of outstanding X shares will increase following the completion of the merger. The post-merger X share price will depend on the market's assessment of the future earnings prospects for the new entity. The share prices immediately following the merger announcement usually reflect the exchange ratio, fears of dilution and prospects for a smooth integration. If X and Y shares are trading at $20 and $8 pre-merger, respectively, X shares may drop to $18 after the merger announcement because of dilution fears, and Y shares may rise to $9 to reflect the exchange ratio. In cash mergers or takeovers, the acquiring company agrees to pay a certain dollar amount for each share of the target company's stock. The target's share price would rise to reflect the takeover offer. For example, if company X agrees to pay $22 for each share of company Y, the share price of Y would rise to about $22 to reflect the offer. The price could rise even further if additional companies are interested in acquiring Y. However, the X share price could initially fall if investors are unconvinced about the strategic value of the merger. After the companies merge, Y shareholders will receive $22 for each share they hold and Y shares will stop trading. Some stock mergers result in a new entity. For example, companies X and Y could merge to form NewCo, with X and Y shareholders receiving NewCo shares based on their prior holdings. Merger agreements sometimes give shareholders a choice of receiving stock, cash or both. For example, X could offer Y shareholders the option of receiving $20 in cash, one X share for every two Y shares they now hold, or a combination of $10 in cash and 0.33 X shares for each Y share. A reverse merger is when a public company -- usually operating as a shell company with limited operations -- acquires a private company, which secures access to the capital markets without having to go through an expensive initial-public-offering process. The acquired company's shareholders and management exchange their shares for a controlling interest in the public company, hence the terms "reverse merger" or "reverse takeover." Investopedia: How does a merger affect the shareholders? What Happens to Stocks That Fall to Zero? What Is the Effect of a Declared and Issued Stock Dividend ? Are Reinvested Stock Dividends Taxable? What Are Restricted Shares of Stock?